If you have been working out for months and still have not been seeing the results that you want, then you are most likely doing something wrong. 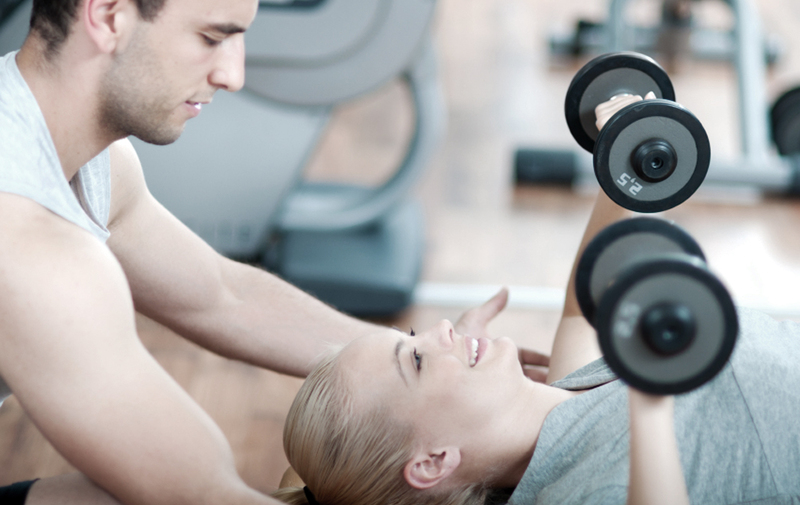 A personal trainer can help you pinpoint what you are doing wrong so that you can reach your goals. Additionally, a trainer can assess your eating habits. It is important to remember that healthy eating plays a very important role in helping you reach your fitness goals. If you have not been accustomed to exercising, then you may be intimated by the thought of starting a fitness program. A trainer can develop a workout regime that is perfect for you. He or she will take into account your fitness level, age, needs and goals. This will not only help you reach your goals within a timely manner, but it will also prevent you from starting off too quickly. If you start off too quickly, then your chances of getting injured will be much greater. If you have been doing the same routine for months, then you will probably get bored with it eventually. Boredom is one of the top reasons that people give for quitting an exercise program. That is why it is important for you to change up your routine frequently. A fitness trainer can develop a fun, invigorating workout for you. Sometimes, people just are not being challenged enough, which is why they fail to reach their fitness goals. If you feel like you are not being challenged enough, then you should definitely consider hiring a trainer. A fitness trainer can push you pass your comfort zone, which is one of the keys to reaching your goals. If you have diabetes, heart disease or arthritis, then you are at an increased risk for getting injured when you are exercising. A fitness trainer can work with a doctor to come up with a workout program that is safe for you. Furthermore, if you are pregnant or planning to conceive in the near future, then a fitness trainer can develop a pregnancy and post-pregnancy workout routine for you. If you are afraid that you are doing the exercises incorrectly, then you should call a fitness trainer. A fitness trainer can supervise you to make sure that you are doing the exercises correctly. This not only increases your chances of reaching your goals, but it also reduces the risk of injury.